The Shock Doctor ® SD V1.5 Mouthguard has a co-polymer construction with built-in breathing channel providing superb protection. Fit System - boil and bite. Multi-layer construction with and internal shock-absorbing frame offers protection and fit that outperforms conventional mouthguards. Shock absorbing jaw pads help protect against concussions and create a channel for improved breathing. 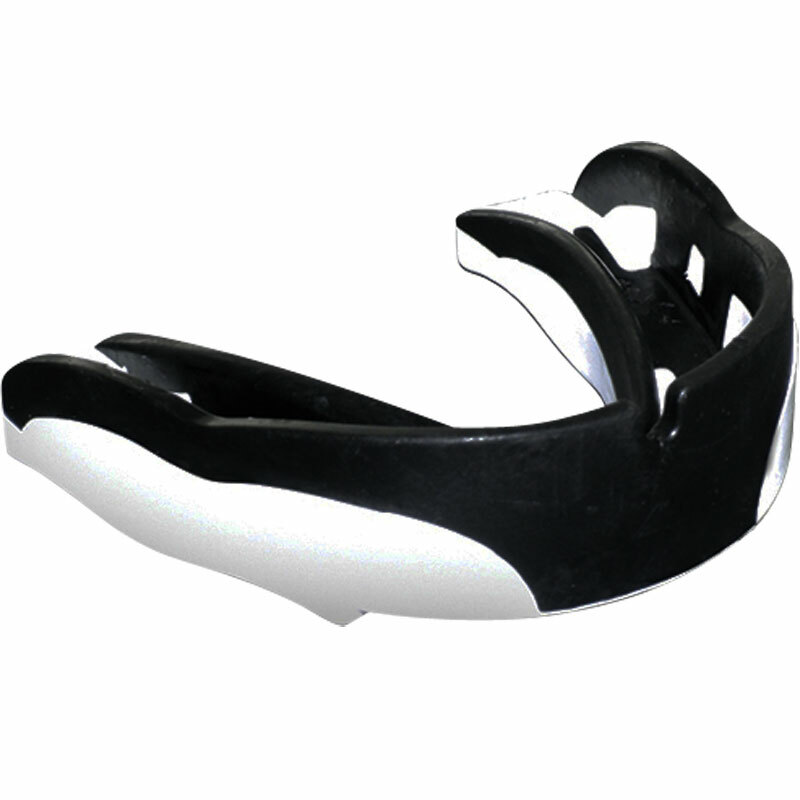 Built-in breathing channel through the centre of the mouthguard to allow for freer flow of air and easier breathing. Supplied with protective storage case. Bought for my son as he is at that awkward stage with jaw growth and he only ever complains about the fit of his mouth guard....not this one! Great fit and great price.